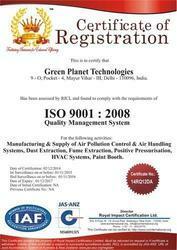 GPT (Green Planet Technologies) India is originated in the year 2006, based in Delhi. 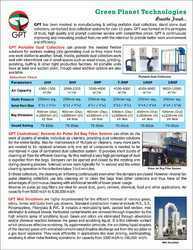 We are well known manufacturer and exporter of premium quality sophisticated dust collectors and industrial ventilation equipments. 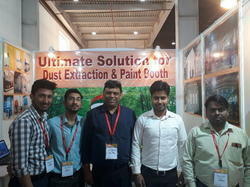 Our comprehensive range of these products includes Paint Booths, Exhaust Systems, Fume Scrubbers, Pulse Jet Bag Filter, and Dust Collector, etc. Our organization is supported with a state-of-art infrastructure facility that is equipped with advanced machinery and tools. We manufacture these using premium quality materials that are procured from the certified vendors in the market. We also have a team of experts who constantly check the quality of our range of products on various parameters to offer an unmatched range to our customers. We export our products in following Countries Qatar, Kuwait, Dubai, Dammam, Sri Lanka, Germany, South America, Finland, Saudi Arabia, Riyadh, Kenya, and Bangladesh, etc. Under the guidance of our director, Mr. Shantanu Mukherjee we are able to capture the market for ourselves in the industry. His industry experience and ability to understand the demands of clients make us achieve greater heights in the market. Below are our key strengths due to which we achieved a high appreciation for our products among our valued customers.